A fragment of the Berlin Wall, Grosvenor Square. 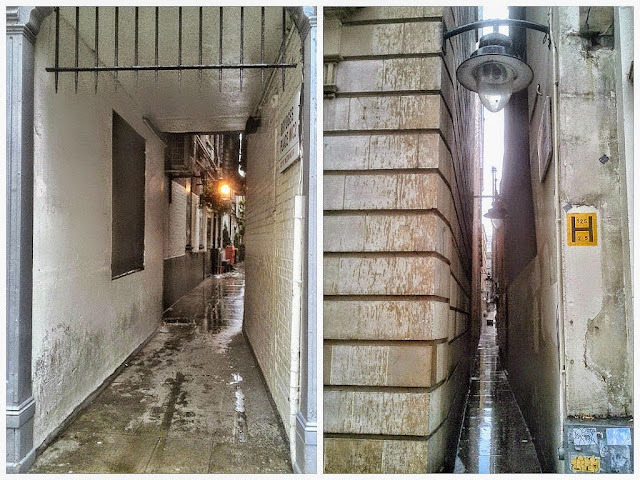 Brydges Place is one of the narrowest paths in London. 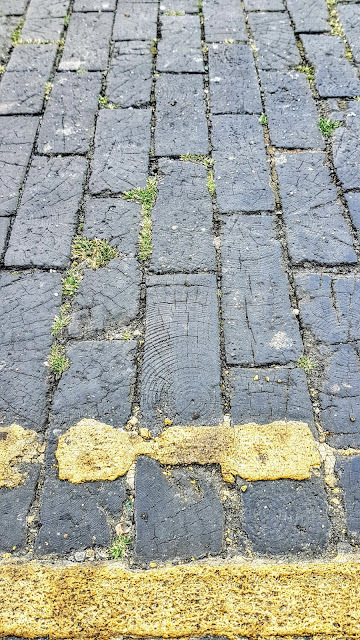 One of the Seven Noses of Soho. 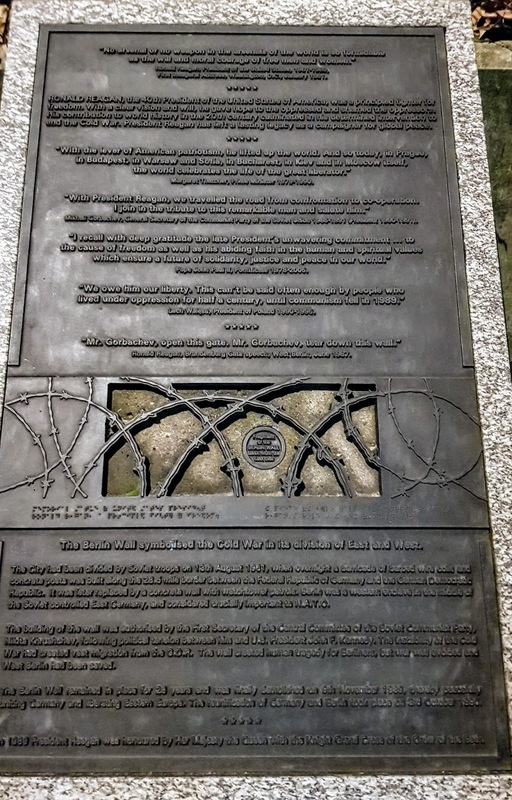 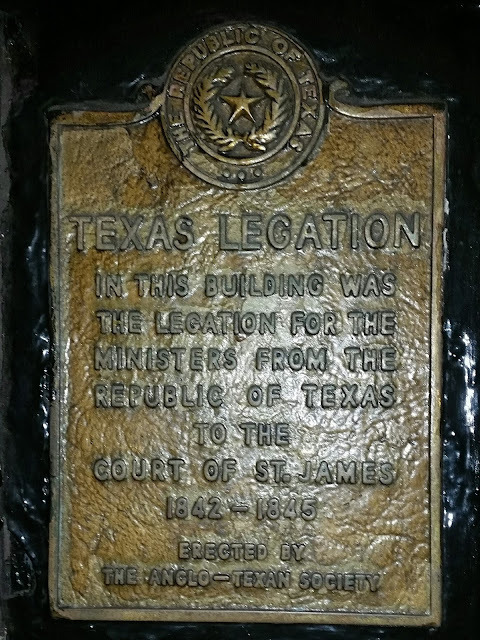 The Texan Embassy plaque, St. James Street. 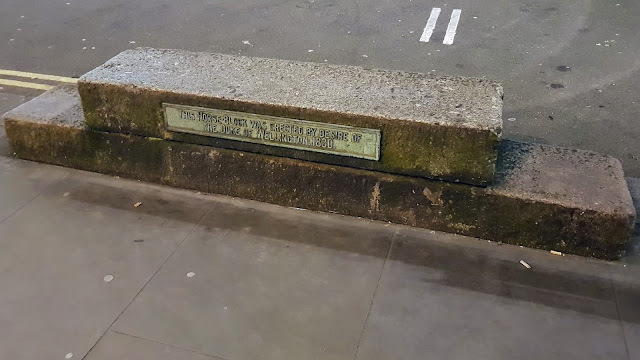 A Horse Block, in Waterloo Place. 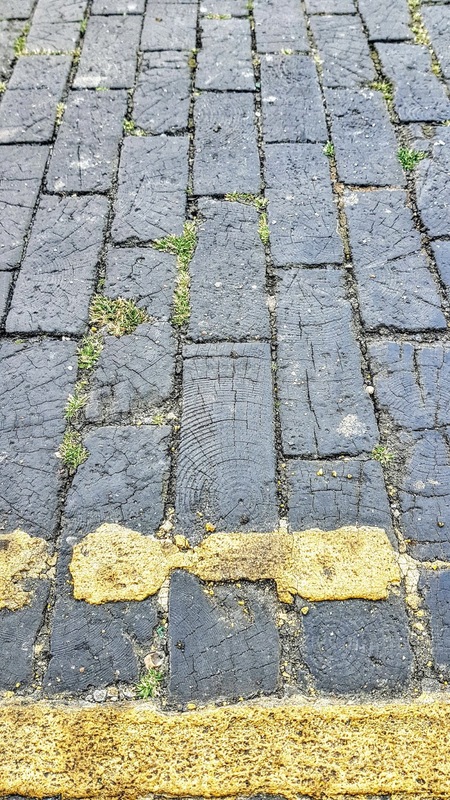 Wooden Blocks were used as paving, on the streets of London.